SEE BELOW FOR WHAT’S ON OFFER! NOW TAKING ENROLMENTS TO COMMENCE 1ST TERM – JANUARY 30TH! Download our 2019 Junior and Teenage school brochure here! For information on VCE & VCE VET Dance click here! COME DANCE WITH US AT DANCE FACTORY! Dance Factory is the perfect school to harness the passion and energy that young people now have for Dance. 30 YEARS HISTORY We have a proud history of producing some of Australia’s finest performers and choreographers and we apply that same attention to Dance technique, safety and performance to our junior school. DANCE PROFESSIONALS Our kids and teenager classes cover a variety of dance styles, all taught by Dance professionals. PERFORM ON STAGE We believe in learning through performance. Our Junior School performs on stage in both our mid and end of year shows & teenagers perform at the end of every term. SHOW COSTUMES SUPPLIED No need to make or sew your own costumes. NO COMPETITIONS. We are more interested in our students learning dance and having fun than winning, however, private lessons are available for those interested. Our junior students gain valuable performance experience through our end of semester performances. Our students are encouraged to treat dance as part of a balanced lifestyle, with schoolwork, social life and leisure being of equal priority. Students can choose from Jazz, Ballet, Tap and Hip Hop, Musical Theatre, Contemporary, or a combination of these. If you are unsure of which classes to select, we can advise you. Teachers are advised that classes should be fun, friendly and non-competitive. 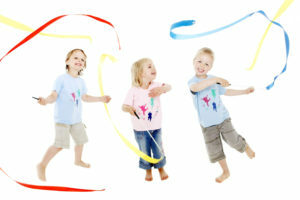 Our teachers are aware of the need for safe dance technique in young bodies, each student’s body is treated individually.